BPOG’s Leachables team has just published an Industry Best Practice Guide: Best practices guide for evaluating leachables risk from polymeric single-use systems used in biopharmaceutical manufacturing. The Guide presents a practical and adaptable approach for assessing single-use systems (SUS) for the leachables risks they present to biopharmaceutical product quality and patient safety. Independent industry surveys have shown that concerns about extractables and leachables are the number one barrier to implementing disposables technologies1. There is clear regulatory guidance around what is required by regulatory authorities such as the EMA2 yet to date there has been limited or no information (consensus or best practice) on how companies should do this. The best practices guide for evaluating leachables risk from polymeric single-use systems used in biopharmaceutical manufacturing represents the consensus position of this team of experts and key opinion leaders from 17 major biopharmaceutical companies. The guide is in 4 sections focused on risk assessment, leachables study design, analytical methods and lessons learned from experience. Key drivers for the guide were ensuring product quality and patient safety during the adoption of single use systems. According to Laszlo Litauszki, Head of Material Qualification Biologics & Small Molecule at Shire ‘The BPOG guide will establish a science-based industry common practice to assess the risk a Single Use System poses on drug product quality from the leachables perspective, providing a common approach to users and regulators. It maintains the flexibility the industry needs by identifying critical concepts to consider for this Risk Assessment’. The use of disposables in biopharmaceutical manufacturing has grown significantly over the last two decades and regulators require that companies assess & manage any risk posed to drug substance or drug product by disposable systems. Typically, this is done by evaluating leachables data and/or performing leachables studies as required to cover the unit operations used in the process. Extractables data can be used to inform this leachables assessment and make data based choices when selecting equipment. At the time the Extractables and Leachables teams were formed, there was no standard for extractables testing available. This lead to each end-user company taking its own approach and in turn similar, but different requirements. In turn, suppliers performed different testing depending on prior experience and requests from their customer base making comparison and development of best practice challenging. The work of the team was to influence change and create a standard for extractables testing which they did when they launched the Extractables Protocol in 2014. 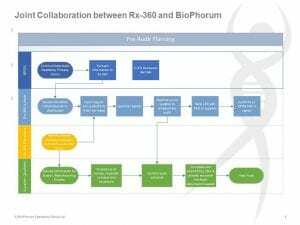 This protocol is currently being successfully implemented as a user requirement by a number of major biopharmaceutical manufacturing companies. Many disposables suppliers are now following the BPOG Extractables Protocol which provides the drug substance manufacturers with vital information when performing a leachables risk assessment. By providing a complete data package generated using a standardized protocol, and presented in a standard way it can be envisaged that end users will be able to qualify new equipment much more rapidly and without need to revert to the supplier for additional information. Essentially this approach allows the manufacturer to make appropriate selection of SUS products and determine what to look out for in terms of leachables. This helps to ensure that patient safety is not compromised and at the same time offers the possibility of reduced waste and increased flexibility within the industry. It is the responsibility of the end user or drug substance manufacturer to give consideration to the nature and amount of potential leachables. This consideration would typically include a risk assessment and performing of leachables studies as necessary. Historically there has been no guidance as to how this leachables risk assessment or studies should be conducted resulting in varying approaches. In January 2015, the Extractables and Leachables team set out on the journey to create leachables guidance with the goal of developing a set of practical and adaptable core principles to manage leachables effectively and efficiently. 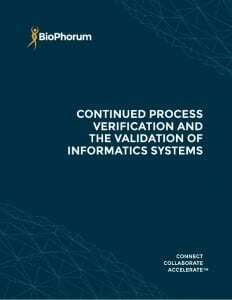 The best practices outlined in the guide will not only help to standardize approaches to identifying and investigating leachables risks, they also build on the extractables protocol previously published by BPOG and demonstrate how (supplier) extractables data is used by the bioprocess industry. Furthermore, standardization of leachables testing and extractables testing is a key cornerstone to allowing more rapid and widespread adoption of single-use technologies, an area of focus in BPOG’s forward-looking Technology Roadmap. Ultimately, in addition to ensuring best practice in regard to assessing leachables impact on product quality and patient safety, this work will help to support increased security of supply and reduced costs to patients. 1. Smalley, C. et al. Best Practices for Leachables Under Development. PDA Letter (2016). 2. European Medicines Agency. 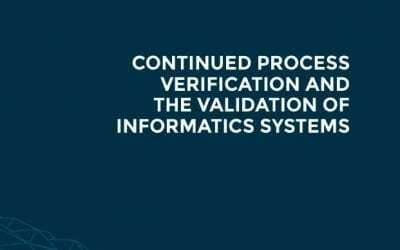 Guideline on process validation for the manufacture of biotechnology-derived active substances and data to be provided in the regulatory submission Guideline on process validation for the manufacture of biotechnology-derived active substances and data to. EMA/CHMP/B, 1–13 (2016).